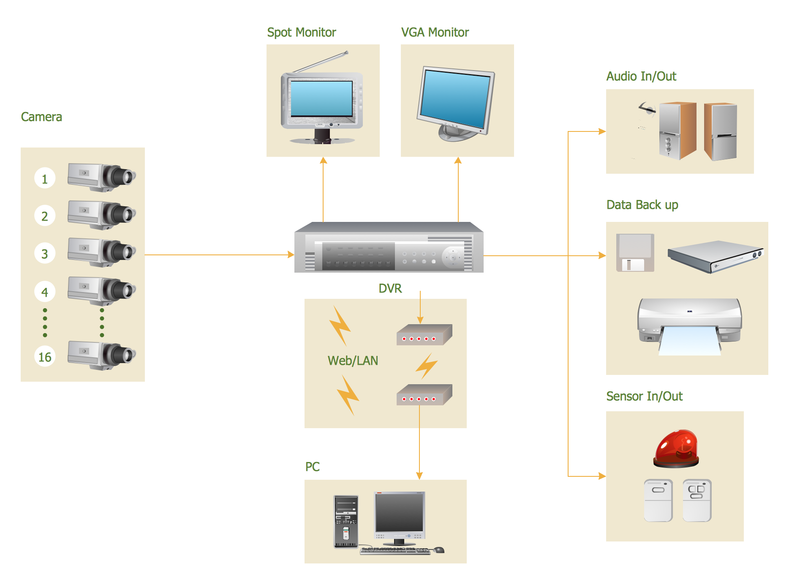 Audio, Video, Media solution from the Illustration area of ConceptDraw Solution Park provides a wide collection of predesigned templates and samples that help you to create the CCTV Network Diagrams in one moment. The following examples were created in ConceptDraw DIAGRAM diagramming and vector drawing software using the Audio, Video, Media Solution. You can choose them from ConceptDraw STORE. 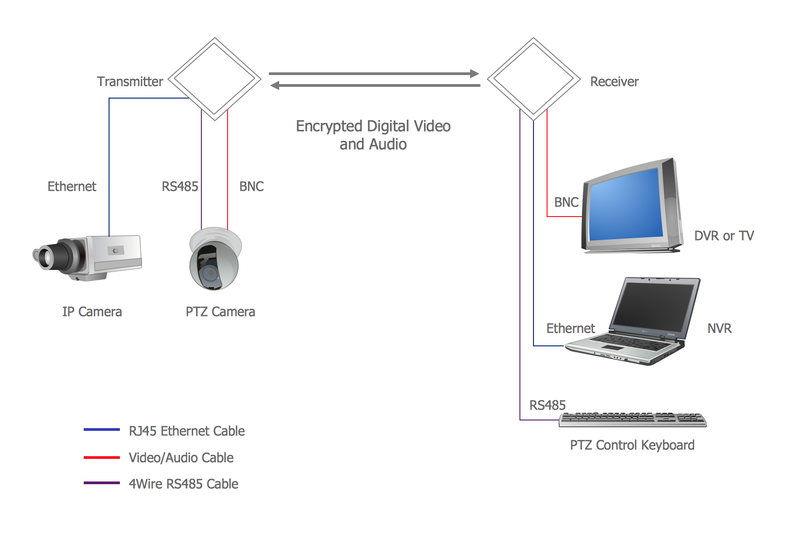 This CCTV Network Diagram was created in ConceptDraw DIAGRAM diagramming software using the Audio, Video, Media solution from ConceptDraw Solution Park. 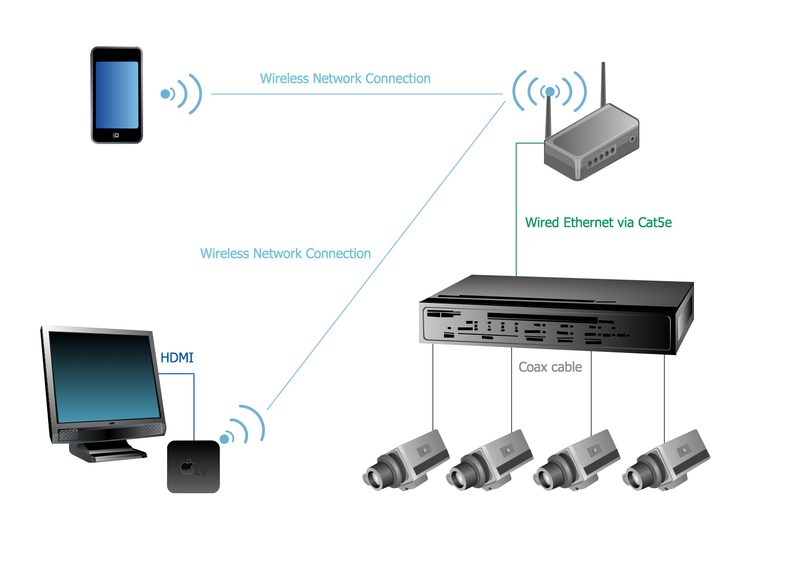 This diagram illustrates the scheme of the connecting the Apple TV via Airplay to the video surveillance system. 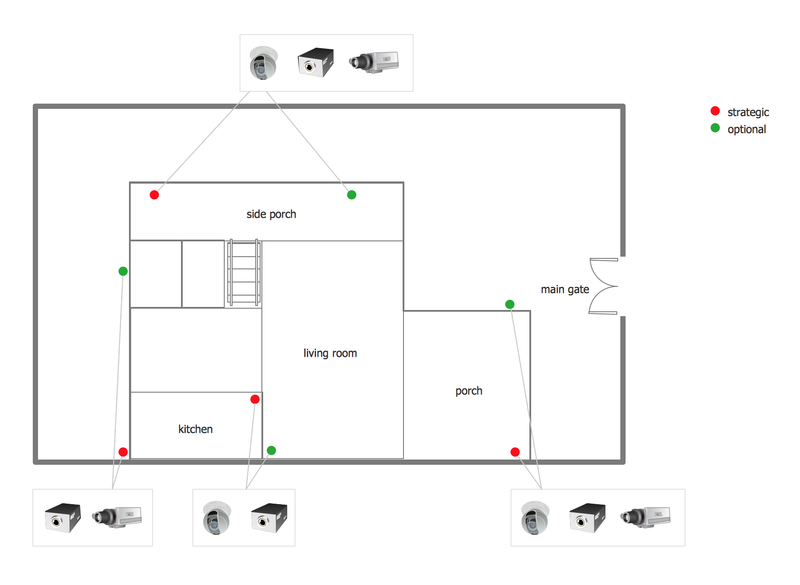 Use the Audio, Video, Media Solution for ConceptDraw DIAGRAM to create your own professional looking CCTV Network Diagrams quick and easy. Audio connectors are electrical connectors designed and used for audio frequencies. ConceptDraw DIAGRAM v12 diagramming and vector drawing software extended with Audio and Video Connectors Solution from the Engineering Area is the best for drawing various audio schematics with detailed illustration the audio connectors.